WAKEFIELD, Mass. - The Hockey East Association unveiled the 2018-19 women’s composite schedule today at the league’s annual media day at TD Garden. With the addition of Holy Cross in its inaugural season with Hockey East, each of the 10 member institutions will play 24 league contests and several featured non-conference tilts and tournaments. A full schedule can be found on the following pages. Hockey East teams began play Friday, September 22 when UConn and Northeastern played in exhibition contests. Regular season play began Friday, September 28 when four teams opened play in the first tilts of the new season and Boston University and Maine skated in preseason games. For all other schools Friday, October 5 marks the beginning of their campaigns, including the first league contest of the year between Boston University and Northeastern. Several special events highlight the season schedule in 2018-19, including the first-ever women’s college hockey game in Belfast, Northern Ireland as well as the newest slate of the Skating Strides initiative. 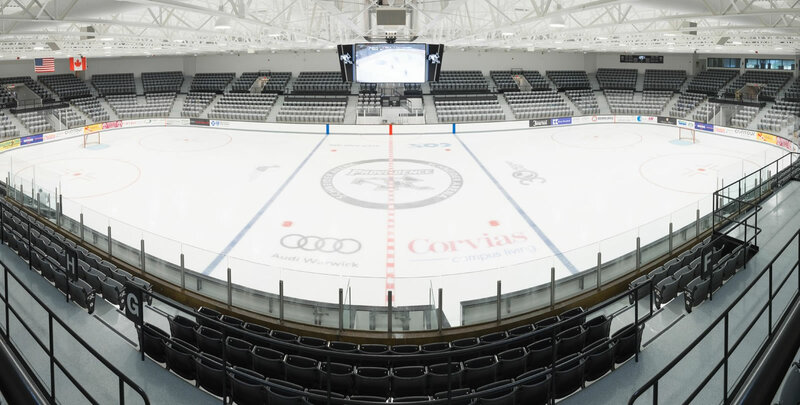 The Women’s Hockey East season will culminate at Providence’s Schneider Arena, with the 17th annual Women’s Hockey East Tournament on March 9-10. Information regarding tickets for the conference championship will come at a later date.